1. Mike Campbell may be the most underrated guitarist. 2. My pastor’s sermon from this past week has affected me more than any other that I can remember. 3. I used to eat pizza every day. Okay, not *every* day. But I thought about pizza every day. Now I never eat pizza. Pizza calls though. Well, not calls, but texts. It’s actually the local pizza place. I forgot where I was going with this. 4. Don’t change anything based on a news story. Nothing. Okay, maybe the weather is an exception. 5. 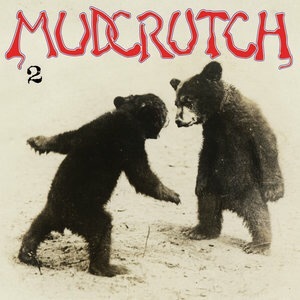 Tom Petty said “Mudcrutch” was the worst name his first band could have come up with. Their newest album is fantastic, though. Really, really fantastic. 6. Dusting off my Romans commentaries and using them weekly is the best thing. 7. Most Christian writers today are emulating one of three writers. Either John Piper, Ann Vos Kamp, or Jen Hatmaker. They need to be following Buechner and Hemingway. 8. My 2nd grader hasn’t had any homework yet and I truly have no idea if this is good or bad. 9. Christianity is a fight to love the resurrection more than this beautiful world. 10. Coming home to Bethany is better than money. Or records. Or even pizza. #8 – no child /student should have homework before 6th grade….studies/research show it’s a proven waste of time, accomplishes nothing, and discourages the love of learning, which is the whole point of education. #8 – it’s a good thing.